The Nuclear Green Revolution: Windmills or LFTRs? LFTR would generated power when needed. Windmills produce power when the wind blows. LFTRs can be located near sources of electrical demand. Windmills have to be located where the wind blows. LFTRs can be located near to the existing electrical grid, eliminating the need for expensive additions to the grid. A single new windmill facility may requite hundreds of miles of new electrical transmission line, costing hundreds of million or even billions of dollars. LFTRs could produce power at full capacity over 90% of the time. Windmills rarely can produce power at full capacity. LFTR generation capacity does not change with the time of day or the season of the year. Windmills in many localities produce less power during the day than at night, and less power in the summer than during the winter. LFTRs can produce power when electricity is most in demand. Windmills typically produce the most electricity when electricity is least in demand. LFTRs require no fossil fuel backup. Many plans to increase wind generating capacity include increases in carbon-emitting natural gas backup generators. LFTRs require no expensive and inefficient alternative backup systems. Some Windmill plans call for the use of expensive and inefficient Compressed Air Storage or Pumped Water Storage backup systems for wind generators. LFTRs can be built at existing power plant locations, saving an enormous amount of money, and lessening existing power plant environmental impacts, while creating no new environmental intrusions. Windmill construction requires spending an enormous amount of money on new roads, electrical gathering capacity and electrical transmission lines. 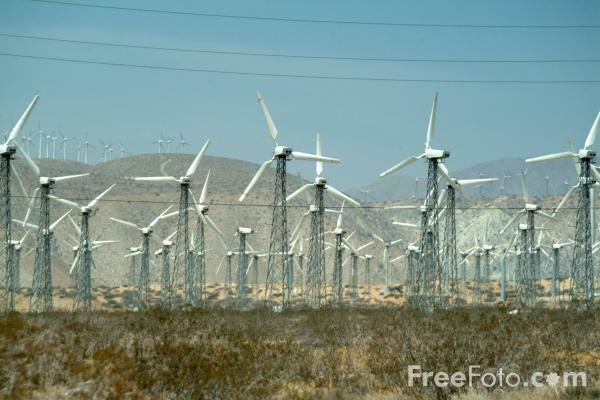 In addition there is the visual and sound intrusion of thousands of windmills which will blight the landscape. LFTRs are consistent with the highest environmental values. Windmills kill birds and bats. In short the LFTR is the preference of the true environmentalist. The Windmill is the preference of anti-ecological spendthrifts. Dollar for dollar the LFTR will produce much more electricity than the windmill, and produce it far more reliably. The Windmill will not produce electricity when consumers want it. The LFTR will. The Windmill will create far more environmental intrusions and will require huge expenditures in the construction of roads, electrical gathering equipment, and new electrical transmission lines. Windmills will require large numbers of CO2 emitting natural gas generating facilities, while LFTRs can be backed up by other LFTRs.